According to film critic, André Bazin, Italian Neorealism, though the beginnings are not entirely known, was a product of the end of fascism in post-war Europe. While much of European cinema was shying away from actuality in favor of escape and spectacle, Italian cinema favored a more realistic approach. “More than an artistic stance, neorealism embodied an attitude toward life (Sklar, 257. )” This new form of film-making did not only revolutionize the process, but it also changed the way in which the medium could be used to reflect life in a country affected by war. It is almost like placing entire cities under a magnifying glass to study the lives of the citizens. 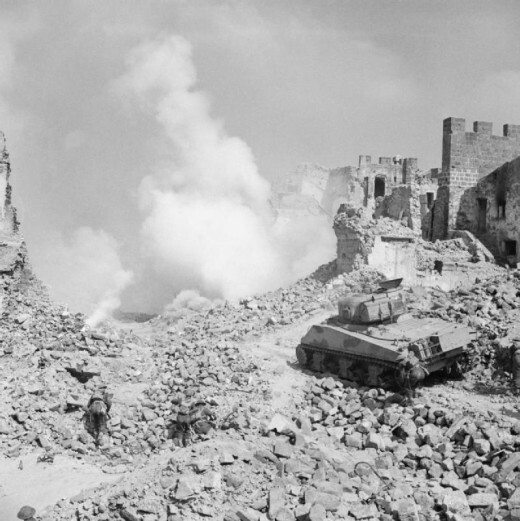 At the end of World War II, Italy was left as a torn country; it had been attacked by both German and Allied forces. Neorealism is typically associated with the period between the Liberation and the establishment of a more stable government, which spanned the last half of the forties, and began to fade in 1949, as the government began censoring expression in favor of nationalism. It was largely the improvements in technology that allowed for the neorealism movement to occur. 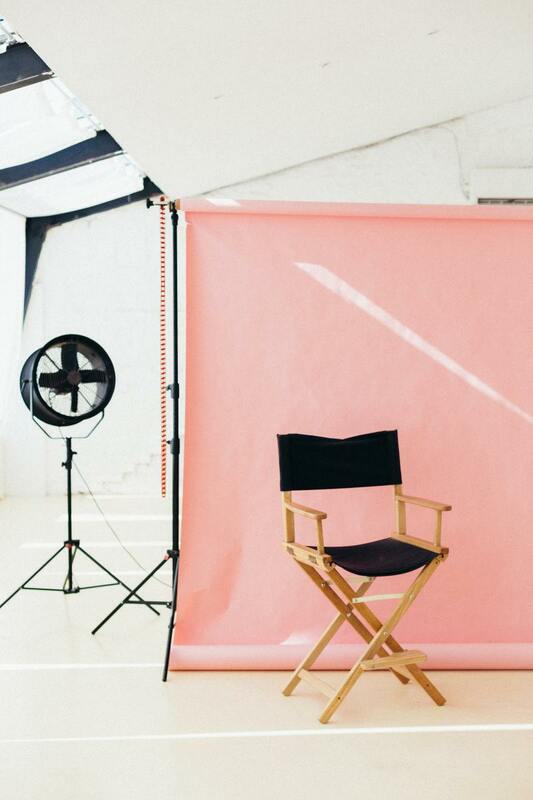 With smaller, relatively inexpensive cameras and post-synchronized sound, it became possible for filmmakers to leave the studio system and go on location to shoot. Oftentimes, there were few or no professional actors, directors preferring to use peasants, workers, or people from the towns. These films often straddled the line between narrative fiction and documentary and attempted to make a statement about life in the war torn country. The son in Vittorio De Sica's 1948 neorealist classic, "Bicycle Thieves." As Bazin notes, many of the plots in neorealist films are mundane and inconsequential, but it is the acting, the process and the moral and economical implications that bring meaning to the film. In De Sica’s Bicycle Thieves this is definitely the case. The action of the story consists of a man searching for his stolen bike and then trying to steal a bike himself. The plot-line is ultimately inconsequential, but the presence of his small son and the fact that the bike represents work, which will feed his family, transforms this film into one of the standout pieces of the movement. Bazin says that “it is the child who gives the workman’s adventure its ethical dimension and fashions, from an individual moral standpoint, drama that might well have been only social.” He goes on to say that De Sica’s film, despite its overall communist leanings, maintains it’s meaning in the absence of social agenda. 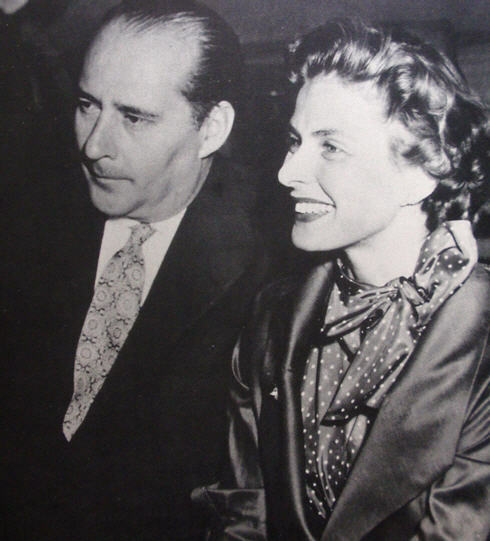 Roberto Rossellini pictured with Ingrid Bergman. Between 1945 and 1948 Rossellini directed "Rome: Open City," "Paisan" and "Germany Year Zero," which became popularly know as his Neorealist Trilogy. 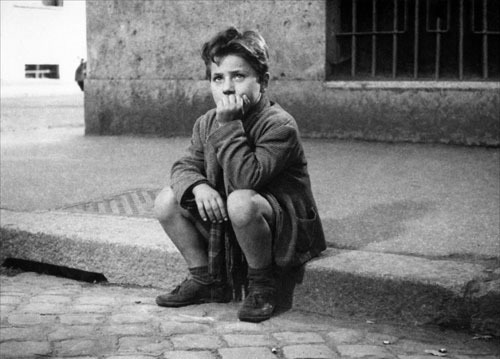 Whether a film was ultimately fictional or leaning more towards the documentary genre, Italian neorealism often portrayed the lives of average citizens, and therefore, often dealt with a more negative outlook on life. There are no happy endings, there are no grand sets or lavish costumes; the mise en scène of these films is often no more elaborate than a crowded street, or a claustrophobic apartment, and it is this realistic approach that brings the stories to life. Seeing the non-actors in their own environment, lends to the veracity of the story, and the fact that the stories are simple brings a sort of believability to the action. This sense of truth makes the stories portrayed on film all the more harrowing. It is like looking through the screen into the actual lives of the people of Italy after the war and seeing the struggles being experienced, on both a national and personal level. With the neorealist movement, Italy changed the face of the cinema and made a place in history for films with social and moral undertones. Though Italian neorealism only lasted a short time, it is often cited as one of the most influential of all film movements because of the unique way in which it looked at the lives of its subjects; not melodramatically, but not entirely objectively, it was a balanced combination of reality and narrative in a time when the future of Italy was uncertain and the past had created an unstable present. Though a bit long and a tad dry, this video is a wonderful look at Italian Neorealism as viewed in retrospect by the people of Italy as well as the directors and editors whose works are most often cited. Concise and informative is this New York Times video review for Rome: Open City. Though Rossellini used several well-know actors in his film, the mise-en-scène and the treatment of day to day life in Italy is a perfect example of neorealist aesthetics and themes. Sklar, Robert. “Film: An International History of the Medium” Prentice Hall; 2 edition,2001.